Part two of Kaluki Musik’s Smoke Signals series Returns this month with four original tracks from four established producers. Fresh from the apparent success of ‘Smoke Signals Vol.1’ and its subsequent sell out show at Manchester’s Warehouse Project featuring DJs Steve Lawler and Richy Ahmed, Kaluki Musik is back with Vol.2, which includes Do Not Sleep label Boss Darius Syrossian and production duo Solardo. Opening the EP is Darius Syrossian’s ‘Disko Drop’, an atmospheric number that is built around its deep propelling kicks and shimmering hats, leaving breathing room for disco tinged pads and glistening vocals. Next up is Mihalis Safras who goes down a hypnotic route with his track ‘W’, layering it with live sounding percussive textures; hip-hop influenced vocal samples and immersive breakdowns. Solardo & Paolo Francesco’s ‘Sleep Deprivation’ follows; an energetic track dominated by its grooving drum workout laced with 808 cowbells and snappy drum fills, assisted by a crafty bassline and resonant synth lead. Montel’s ‘Me Not You’ closes the package with a darker stripped back club cut entitled ‘Me Not You’, driven with crisp kicks and jittery hats complemented by its infectious 303 arpeggio and dub permeated chords. 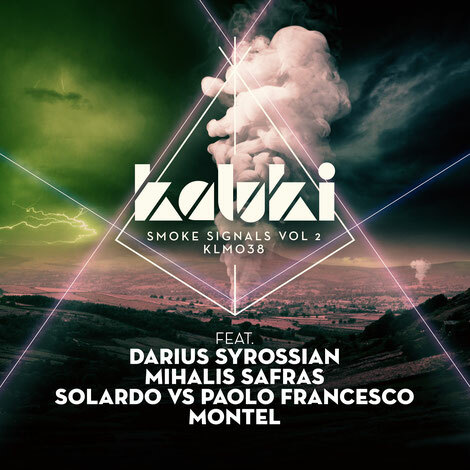 Kaluki Musik’s ‘Smoke Signals Vol 2.’ drops 10 March.